Are you looking for a new way to get your kids interested in family history? Here’s an idea from the Caroll family. They talked about where their ancestors came from. Then each of the kids picked a flag from their heritage to draw. It was a fun starting point for a family history family night! 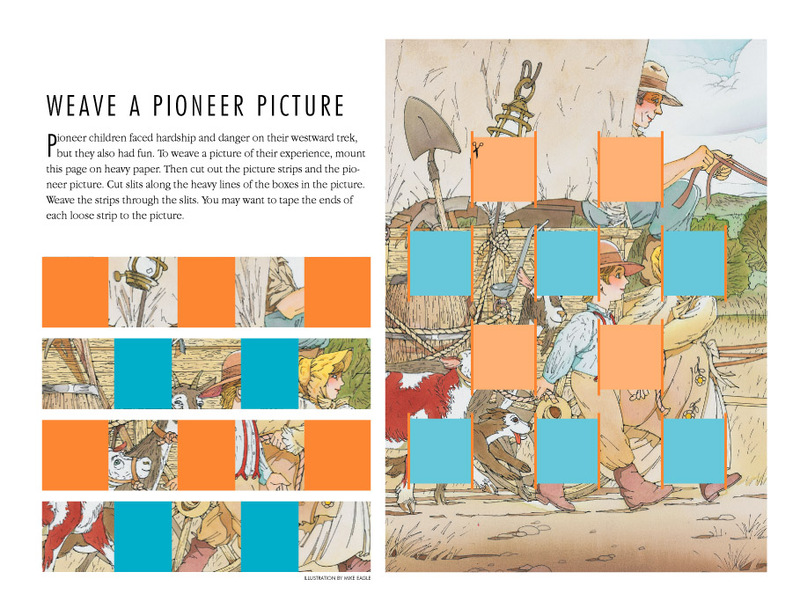 Pioneer Day falls on a Monday this year, which gives us the perfect opportunity to hold a pioneer-themed family night! We don’t need handcart ancestors to celebrate those in our family who made brave choices and paved the way for others to follow. Here are some ideas for celebrating. Read about one family’s “Pioneer Night” (July 2017 Friend). Make homemade butter or a candy covered wagon (July 2017 Friend). Read President Eyring’s message about the word “heritage.” It includes a matching game and cut-out (July 2016 Friend). Weave a picture of pioneer children (July 2003 Liahona and Friend). What unique ideas do you have for celebrating Pioneer Day? Send your picture and idea to friend@ldschurch.org, and it might show up in a future magazine or weekly tip! We want our kids to be healthy, inside and out! You could use the Church history figures in this month’s Friend, “Kirtland and the Word of Wisdom” (page 28), to talk with your kids about where the Word of Wisdom came from and how living it blesses us. Help them understand it’s also important to do healthy things with our bodies. Talk with your family about outdoor activities you could do together and set a goal to try something different. You could take a walk, go on a hike, train for a short race, explore your neighborhood on a bike, or find a place to go swimming. Not only will this help your kids establish healthy habits, but it can also be a chance to create some great memories! Family prayer teaches little ones both the blessings of prayer and the great feeling of belonging to a family! Think of family prayer as a time to connect with both God and each other. It may even become a favorite time in your child’s day! You can help make family prayer a regular—and happy—experience.